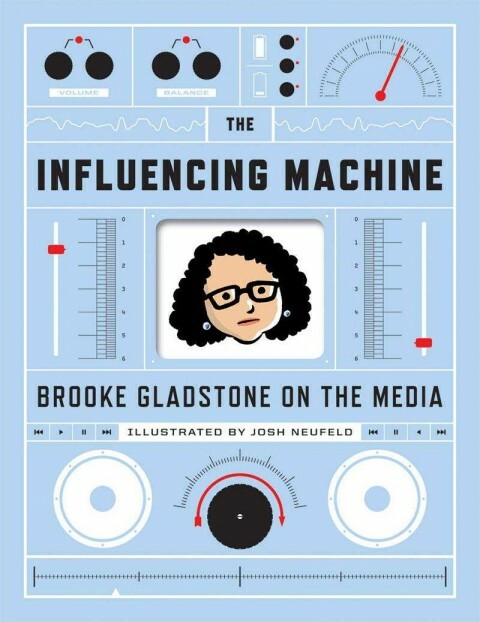 You've heard some praise recently for Brooke Gladstone's and Josh Neufeld's The Influencing Machine, right? Even if you didn't know much about it, that Gladstone won a Peadbody and Neufeld a Xeric should tell you that there's probably some solid talent there. I could go into an actual review of the book here with lots of praise, but there are plenty of other folks doing that. Let's just run with the assumption that it's really good. As I expect you'll also have heard, the book is "a treatise on the relationship between us and the news media" and "a manifesto on the role of the press in American history". But I think both of those descriptions sell the reason for buying the book short. The way I figure it, the problem a lot of people have is that they don't really understand media. Any of it. Maybe a vague notion about commercial interests or liberal bias or what-have-you, but little beyond that. I think people, on the whole, don't have any real media literacy. They don't see reporters as storytellers; they don't know how to judge/interpret what they're being told; they don't even understand the language well enough to discern why certain words were chosen for a report. This idea [literacy in the 21st century] has forever changed the landscape of information access, and is integral in an understanding of Literacy as a practice, in the 21st Century. It is no longer sufficient to consider whether a student can 'read' (decoding text, really) and 'write' (encoding text), and it is necessary to consider more meaningful aspects of literacy in education and in society as a whole, if we are to complete the transition we are in, from a society in which communication was never possible on the level of 'many to many', to one in which it is. 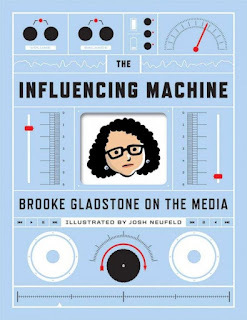 The Influencing Machine is essentially a primer on that notion of literacy today. It doesn't cover nearly everything that you need to become 21st century literate, nor does it strive to, but it does tell you what that literacy is and why it's important. That it happens to also be done so expertly makes it that much more critical that you read this book. I'm not sure I can comment fairly on most of this, but it sounds like it's defining "literacy" awfully broadly, to the point that it's really a different concept. All of this sounds important, but not necessarily like something which is newly-important, or like it's genuinely an "updated literacy" rather than an "ideal-world wishlist for people to quit being so willfully-ignorant." And one which could probably have been nearly as valid 200 years ago. I could well be missing much which did not appear in your brief review though, of course. I am pretty sure that "arithmetic" has never been part of "literacy," though. I think that would be more "numeracy." Just to be clear, that's not Gladstone's definition of literacy. At least, not necessarily. She doesn't directly talk about literacy or even media literacy in the book. She presents the book simply as a history of news/media and how society (particularly the US) interacts with it. I'm bringing literacy to the table here in relation to the book. UNESCO's definition of literacy is the "ability to identify, understand, interpret, create, communicate, compute and use printed and written materials associated with varying contexts. Literacy involves a continuum of learning in enabling individuals to achieve their goals, to develop their knowledge and potential, and to participate fully in their community and wider society." That's already a fair piece more than reading and writing, and there are some folks in education now that are suggesting that the first part of that definition is already too narrow from the standpoint of the second. It's an idea that I happen to agree with, though, and think media literacy is significant and important enough in the 21st century to be pulled under the same umbrella as literacy.